RX Post Production Suite 2 includes RX 6 Advanced, Neutron 2 Advanced, Tonal Balance Control, RX Loudness Control, and Insight. RX Post Production Suite 2 is a comprehensive post production toolkit providing intelligent and powerful software solutions for everything from dialogue editing to mixing and delivery. 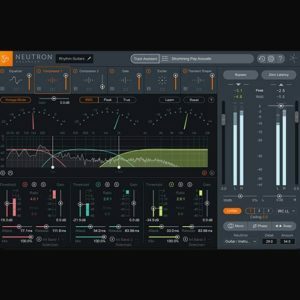 New version 2.1 now includes Neutron 2 Advanced for post mixing and is anchored by the award-winning RX 6 Advanced software. 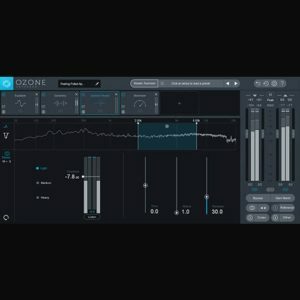 What’s Included in RX Post Production Suite 2.1? The industry standard for audio repair, RX 6 features cutting-edge technologies for post production like mic de-rustle, dialogue isolation, and intermittent low-end wind rumble removal. It also introduces creative approaches to age-old music recording problems like sibilance, mouth clicks, breaths, and microphone bleed. With version 6, RX advances to the next level of audio repair that once seemed impossible. Achieve a clear, well-balanced mix with Neutron’s innovative new mixing and analysis tools. Control every aspect of your music, from the visual soundstage of your tracks to the tonal balance of your mix—all with iZotope’s award-winning digital signal processing. Neutron 2 Advanced includes the new Tonal Balance Control, Masking Meter, Mix Tap, plus surround support and component plug-ins for the ultimate mixing experience. Ensure your mixes meet global broadcast loudness specifications. RX Loudness Control works faster than real-time to ensure your audio mixes are delivered within the appropriate loudness standards. Efficiently analyze and render your mix to comply with any of the global loudness standards, then instantly create a .CSV loudness report. Insight provides an extensive set of audio analysis and metering tools, perfect for visualizing changes made during mixing and mastering, troubleshooting problematic mixes, and ensuring compliance with broadcast loudness standards. Fully customizable and scalable, Insight allows you to visually monitor all relevant information from your mono, stereo or surround mix in a convenient floating window. Get a 1-year, all-access pass to online video tutorials from Groove3. Tailored for beginners and professionals alike, Groove3 offers valuable in-depth education on RX. 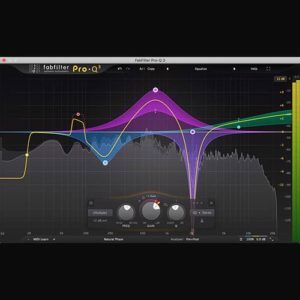 You can also enhance your understanding of ProTools, Logic, and other leading audio software. 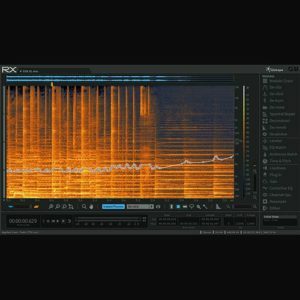 Get 50 download credits to the Pro Sound Effects Library. Each download comes with a 1-user, perpetual, royalty-free, commercial license for use in an unlimited number of productions. Search, browse, preview, and download from 175,000+ professional sound effects.